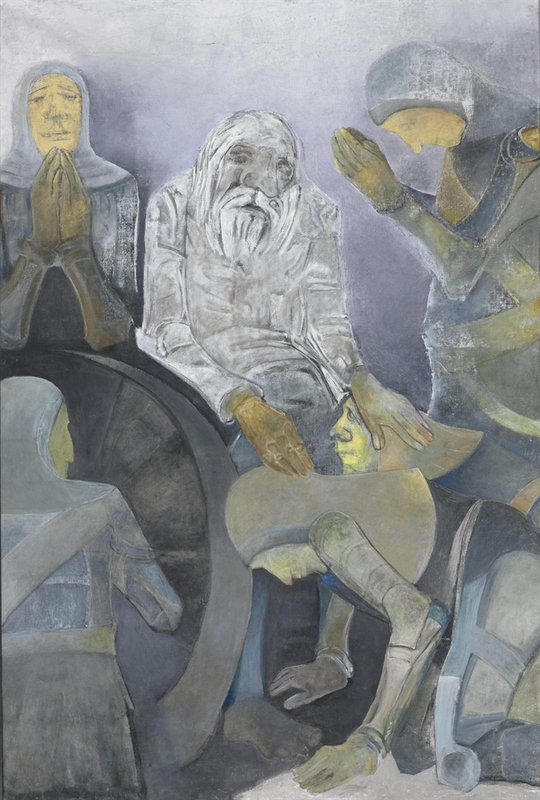 "Krishen Khanna has tended to engage with his subjects as if in an extended and somewhat unstructured conversatoin between old friend […] Effectively, the paintings constitute a powerful psychological engagement, on that also serves as a document of the passage of time in modern India." One of the most successful artists to come out of Pakistan, Krishen Khanna is largely a self-taught painter who began adulthood as a banker. Born in Lyallpur (modern day Faisalabad) in what is today Pakistan, he grew up most of his young life in Lahore, leaving to attend secondary school at Imperial Service College, in Windsor, England, graduating and returning to Lahore in 1942. While there, he earned an English degree Government College, before becoming an officer with Grindlay’s Bank. Following the partition of India in 1947, his family fled the newly-created Pakistan for Shimla, India, a rupture that would deeply affect the way he viewed the world. He began attending evening classes at Lahore’s Mayo School of Art. His banking job eventually brought him to Mumbai, where his side career as an artist began to take off. 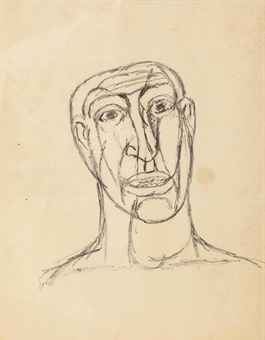 By 1961, already in his late 30s, he was able to quit his banking career to become a full-time artist. In 1962 Khanna was the first Indian artist to be awarded a traveling fellowship from the John D. Rockefeller III Council for Economic and Cultural Affairs (CECA) in New York, which he used to go to the Far East, including Japan, where he was greatly influenced by the art of Sumi-e (Suibokuga) practiced by Zen Buddhists there around 1330. In 1964 he was granted an artist residency at American University, in Washington, D.C., and won a fellowship from the CECA, which brought him to New York, where he began experimenting with Abstract Expressionism. Khanna has described his technique as a process of welcoming the unpredictable to achieve something serendipitous, combining calligraphy with chance whilst removing all extraneous figuration and detail from the picture plane. His work has often focused on music and musicians, as though he were trying to capture its undulating rhythms in oil and in two dimensions. He has also dwelled on sacred mythologies, both local and foreign. At the age of six Khanna's father came back from Milan with a copy of The Last Supper by Leonardo Da Vinci, thus initiating a lifelong fascination with Christian imagery.